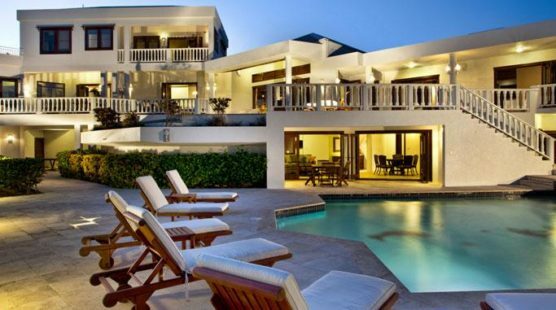 Identical to Villa Harmony, Villa Infinity is also 14,000 luxurious square feet and 8 bedrooms. 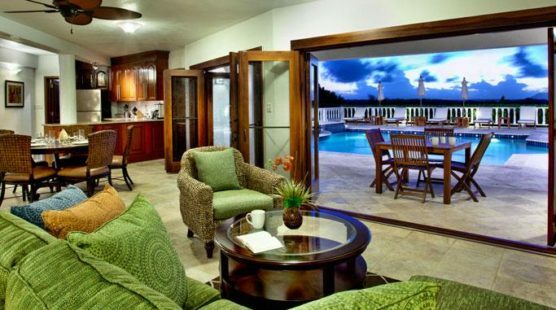 The furnishings and interior design successfully blend distinctive Caribbean charm with contemporary sophistication. 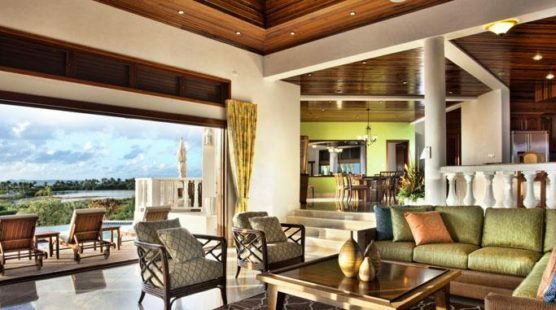 Fine finishes of marble, granite and exotic hardwoods with sea grass and banana leaf accents grace this elegant villa. 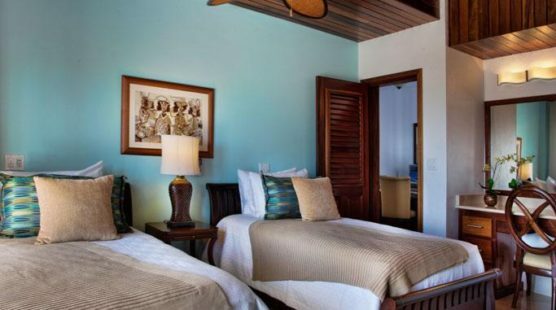 All bedrooms are air-conditioned with ceiling fans, screened doors and windows, and most have plasma TV’s and DVD players. 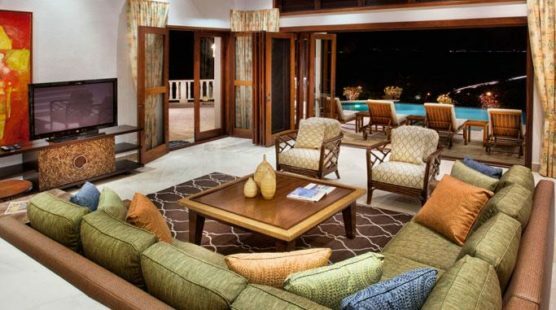 Enjoy modern comforts such as complimentary wifi, outdoor shower, iPod dock plus magnificent Bose stereo sound – both indoors and poolside. 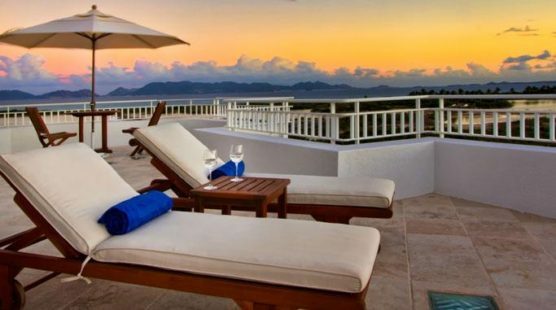 The Loft Suite sits atop the villa with the postcard-perfect views of St. Martin, neighboring islands, and the azure Caribbean Sea. 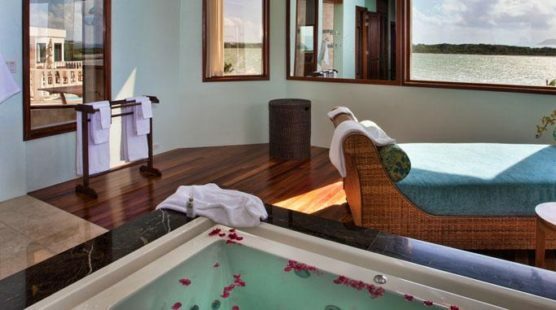 This mesmerizing King ensuite has its very own private balcony, kitchenette, and sun terrace – perfect for rejuvenating massages or sunset cocktails for two. On the main floor of Villa Infinity, the massive master suite houses a walk-in closet and dressing room, private bathroom lounge area with Balinese daybed, European jet-stream double showers and a unique infinity-edge marble bathtub. On this level, there is also 1 guest room with 2 twin beds and one other King ensuite. 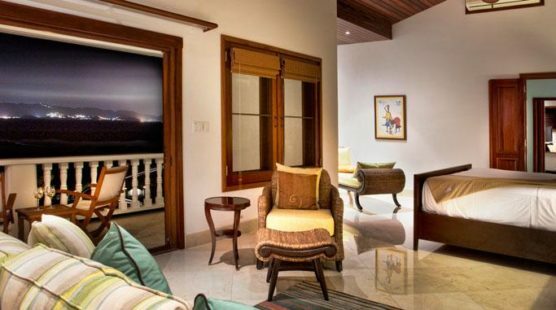 All 3 main-level rooms have direct access to the expansive pool terrace. 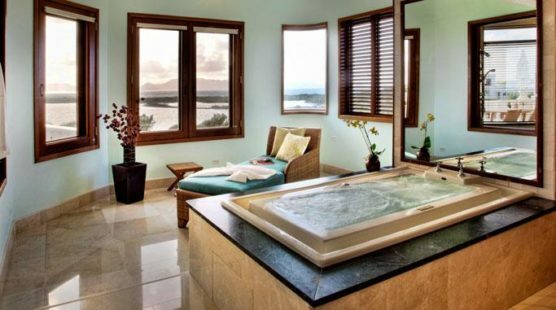 The hot tub is always a favorite spot for star-gazing after a lavish chef-prepared dinner. The main floor also comprises a compact office niche with iMac computer and printer. 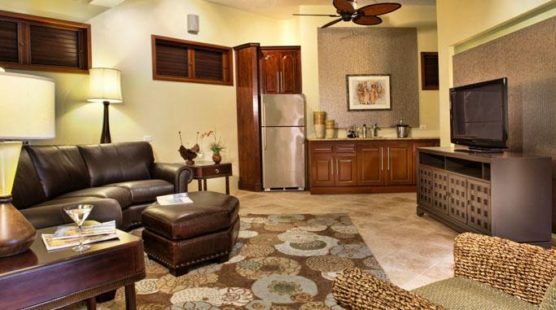 The ground floor offers 3 rooms and a second large pool with hot tub. The rooms are: 1 King ensuite, 1 Queen room and 1 room with 2 twin beds. 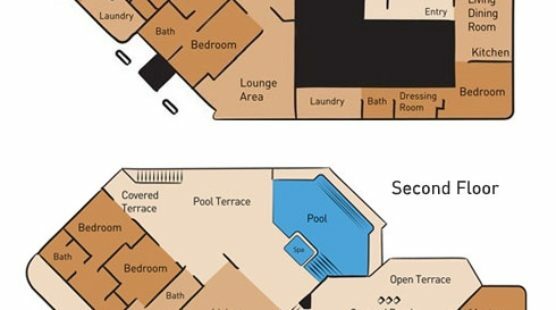 The twin room and Queen suite share a bathroom. 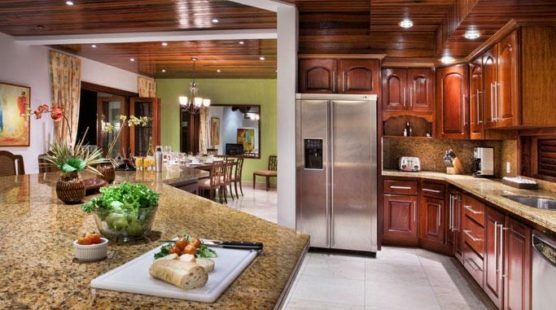 This level houses the sprawling media/entertainment cave with 60″ TV, wet bar, poker table, board games and kitchenette – a perfect area for children and grown ups alike to enjoy a day of fun, games and swimming. 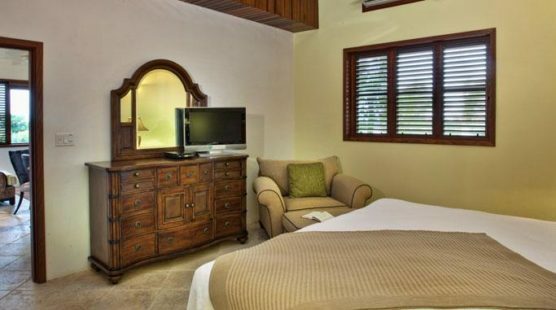 The very private garden suite with King bed, the 4th room on this level, is complete with kitchenette, dinette, living room with pull-out sofa and a “tunnel” design which leads to a deluxe closet and bathroom.